Elsa lures one of the nurses in and manages to visit the twins as their nurse. We learn a lot about the girls in simply a single scene. The twins don’t just share a neck, they share thoughts too. They can communicate telepathically. However, their thoughts are very different form one another’s. The two sisters are nearly opposite in tastes, attitude and behavior. And quite obviously, one of the sisters likes Elsa, while the other despises her. But most of all, I love the scene where one twin breathes in the cigarette and the other breathes it out. On the outskirts of Florida, one very scary looking clown appears out of nowhere and attacks a young couple. He stabs the boy right in the chest numerous times and then takes off after the girl. It turns out that Twisty, the crazy clown is on a killing spree. He murders several people all over town and keeps the girl from the outskirts and an eight year old boy, captive. When Elsa interrogates them, the twins say that it was a robbery gone wrong and try to sell a story with a man coming in and murdering their mother while they managed to stay hidden. Elsa, however, states that she knows that their mother was dead atleast two days before they were found with fresh wounds. The twins get scared, especially Bette, as it turns out, she is the one who stabbed their mother to death and Dot did not stop her in time. Elsa uses this information as leverage to make them join her circus. While Dot thinks of joining the circus as doom she also thinks of Jimmy, the lobster-handed man, as the only beam of light in this darkness. Bette on the other hand does not need a charming young fellow to make her happy. She already things of being a part of the circus as glorious event and an escape form her dark past. 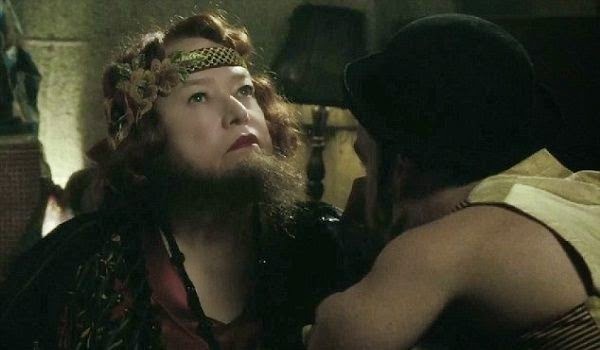 Dot is still not entirely satisfied to be there so the bearded lady, Ethel Darling, says, “This place is as good as it gets for freaks like us.” And before you know it, there are Siamese Twins’ posters up. Jimmy would like to leave but his mother, the bearded lady, refuses to leave her rescuer, Elsa. She instead advices her son to make the twins behave who were refusing to eat anything, well Dot was. When he arrives at their tent, he finds a man who has come to arrest the girls, accusing them of their mother’s murder. Jimmy tries to stop him but upon his refusal, Jimmy calls his gang and kills the man on the spot. Later, Jimmy gives a winning speech about the unity of the freaks and everyone, along with the twins, gets motivated enough to brutally stab the already dead officer with whatever they had. And guess what, this occasion was witnessed from a distance by none other than the freaky killer clown. He probably just is just thinking he found more of his kind. The freaks put on a show for two, that’s right, two viewers only. 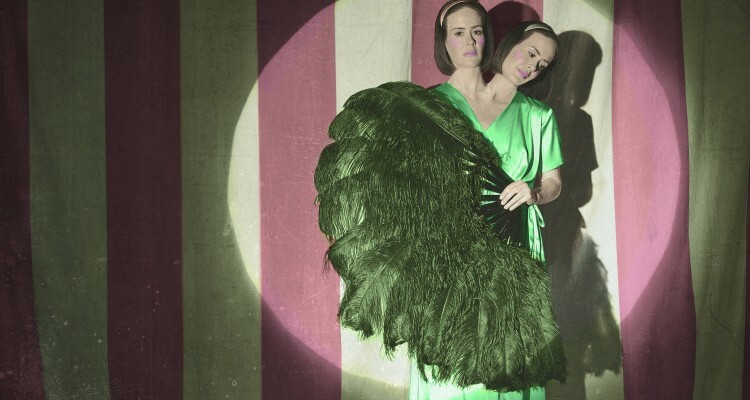 A mother and a son, the Motts, watch the freak show, called Elsa’s Cabinet of Curiosities and by the end of the act, the boy has his heart set on the conjoined twins. His mother is willing to pay as high as $15,000 for them but the twins refuse to leave the circus, as Bette says it is their home now. Elsa seems more than happy with their decision and refuses to let them go as well. And finally Elsa’s secret is disclosed. The secret of why she formed the freak gang in the first place. It’s because she knows she is one of them. While she is missing both of her legs, she believes the show and the freaks will help her stand on her feet and be the star she always dreamt of being. As you can see, the episode got a rating as high as 9.9 on IMDb so that probably says a lot about how brilliantly the show has started off. And by the preview of the next episode, American Horror Story only gets freakier as it goes. 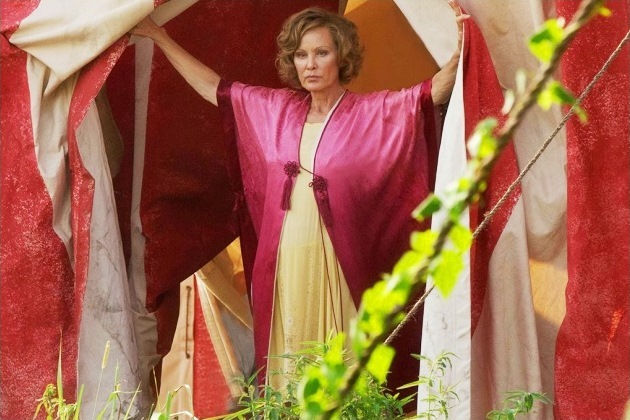 Good news is, we are going to enjoy the company of Angela Bassett and Emma Roberts from the next episode, and for those of you who do not know already, Bassett will portray the character of a woman with three breasts, while Roberts will be playing a fortune-teller. 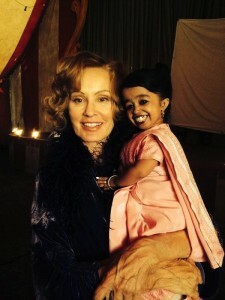 Well, chao for now and see you again with another new episode review of American Horror Story.